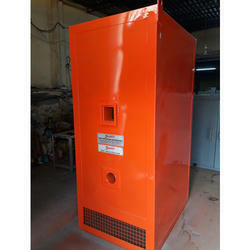 Providing you the best range of hot air generator, hot air blower and solid fuel fired hot air generator with effective & timely delivery. 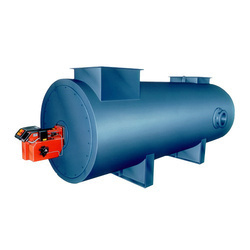 Diesel Fired Oven is one of the most popular products manufactured by our company. Being a diesel fired oven manufacturer we ensure proper heat transfer from the heat exchanger fitted with diesel burner to the working area. We also ensure that the heat exchanger dissipates flu gases generated during the process. Hot air generator shall be double shell type.The HAG shall have the inner shell and outer shell. Both the shells shall be made from MS sheet (IS 2062) 5mm Thick. The approximate dimensions shall be as given in the sketch enclosed. (exact dimension of shell shall be provided after final design of HAG is Completed). Mixing chamber shall be fabricated with MS Sheet 5mm thick, MOC, MS IS 2062 GR. An outer shell shall be insulated with mineral wool 50mm and played with GI Sheet 22 guage. Dilution air inlet duct connection shall be provided to the outer shell. In diesel fired ovens the heat is generated by a diesel fired burner and transferred through the heat exchanger. 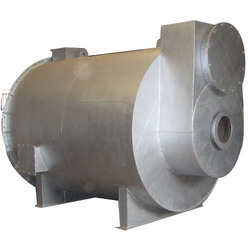 Our heat exchangers are carefully designed incorporating the fundamentals of heat transfer and forced convection. A powerful centrifugal fan recirculates the hot air to maintain uniform and controlled the temperature in the working area. We offer all range of Gas Fired Hot Air Blower.